We offer many options for websites from basic information sites to designing eCommerce and Real Estate listing websites. Pricing is based on size and scope so schedule a consultation today! Are you ready to give your business an online appearance? Are cheap website builders not providing you with the full functionality that you need? Small business profitability is greatly affected by having an online presence as 30% of small businesses with a web presence generate more than 25% of their revenue online (espresso.digital). We create with your success in mind and strive to market your business with ease and functionality. Need to showcase a complex product or service? Sometimes your business needs don’t require an entire website but just a way to communicate specific values or advantages of your products and services. Microsites are specific to target audiences and we make sure to cater the most attractive content to help build your brand. Microsites also provide your business website more traffic with relevant customers. Do you want to open up an entire new source of revenue by allowing your customers to buy your products online or revamp your legacy eCommerce site? Having an online store has potential to increase your revenue by providing convenience to your customers and an online location to land consumer traffic through digital marketing. Green Bee Digital Solutions can show you how to manage your products and inventory through your eCommerce site. We will work with you so that your products and services are showcased beautifully and can be managed with ease. Let us build the framework for your listings whether it be property, availability or any other need. Potential customers can search by price or rate and all listings can be displayed on a map. These sites are branded to you or your business. Marketing potential is unlimited and these websites are completely mobile responsive. Secure your business identity online and let us help you register your domain before someone else swipes your desired business name. A domain name is your online real estate. You must reserve the one you want then you can build on it. Once a site is up, a lot of businesses neglect keeping information and software up to date. Improper maintenance can lead to site crashes or incorrect details being displayed which can lose you customers and revenue. 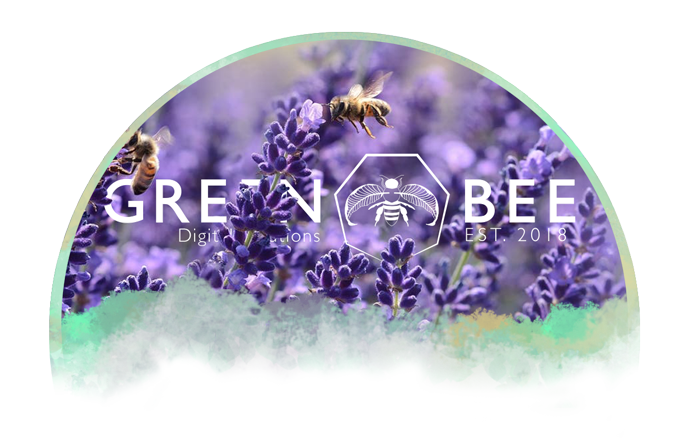 Green Bee Digital Solutions provides monthly maintenance to keep your site software up to date and will work with you to make sure your information is always correct. All of our websites are made to be fully responsive so that they will preform beautifully on any device. Sometimes the bare bones aren't enough. Today, most sites need some sort of integration either from social media, subscriptions, appointment setting, galleries, the list goes on... Green Bee Digital Solutions can bring you the functionality that you need. Browse our options, can't find it? Schedule a consultation and see what we can do for you today! Organically boost your website’s SEO and open up marketing opportunities. Show your customers how savvy you are with social media. Allow visitors to book time and spaces through your website. This service can be beneficial to any industry and is easily managed. Professionally display images or a portfolio through your website with user friendly responsive galleries. We can show you how to maintain your own gallery as well. Wanting to build a database of engaged potential customers? We can build you forms that convert and work seamlessly with your website. Blogs, Calendar & Event Posting, Analytics Tracking? (Contact a representative & see how we can meet your specific needs).